It’s that time of year again when loads of people make good intentioned resolutions for self improvement. Around this time last year I did a series of posts about my research into self improvement strategies. Here is a quick refresher. I recently read an online conversation. A person was claiming it was impossible to be a healthy weight forever. The claim was that it would require constant willpower all the time forever until you die. I can understand were the person gets this idea. This person has probably tried some sort of crash or fad diet. They had the best of intentions and only managed a few days, maybe even held out for a whole week but the temptations just ended up being to strong. They looked a lifetime, years and years, of every day tiring themselves out resisting temptations and gave up. The good news is this is not remotely true. If every single time you got up early to go work out it was as hard as the very first time, no one would ever work out for more than a month. My number one message to someone starting out on a self improvement quest; It will get easier. We will achieve long term improvement by making small incremental changes that can be maintained. I’ll use my quest to get out of debt as our example. First, we come up with our big goal. I am going to pay off all my credit card debt. Now that we have a big picture goal we need to divide that into smaller attainable goals. I will pay off 1/3 of my debt by… I will have it half paid off at.. etc. After we have decided on some goals, we need to come up with what you need to do to achieve those goals. I need to consistently bring in more money than I spend and use the excess to pay off my debt. At this point we have to think of the practical steps you can take to reach our goals. I will increase my income by taking a second job. 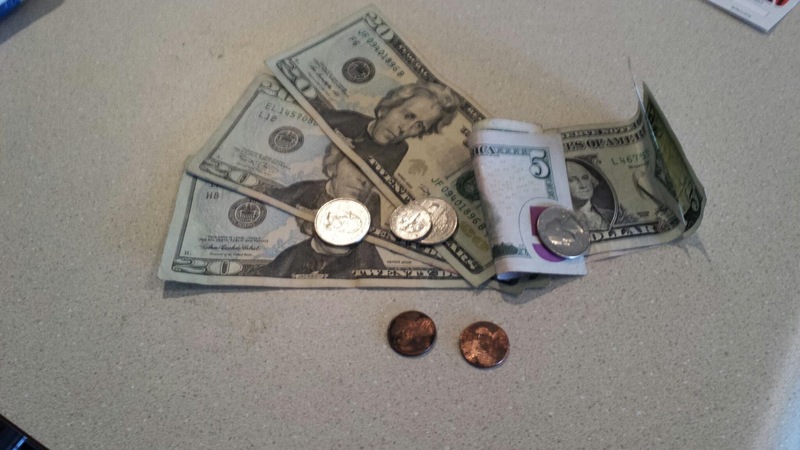 I will reduce my expenditures by tracking my expenses and then cutting out excess spending. For earning more money I made a list of what time I had available for extra work and then thought about what skills and tools I had to make money. I had a car so I could do food delivery. I had time on the weekends and skills I could use. I noticed I spent a lot of money eating our so I could reduce the number of days I went out to eat for lunch and dinner. We take this information and make a very specific action point that we will make a habit. I will bring my lunch to work every day except for one day a week. We then spend weeks working on bringing lunch to work and building the new habit of not eating out. Once we have established the new habit we move onto the next. If later down the road we find that we are spending too much money eating out, we concentrate for a couple of weeks on returning to the proper habit. Most big improvements in our lives are just the summation of all the little decisions and choices we make. Now for the post you have been waiting for (all twenty of you). I am going to give you ten hints that will help you make and maintain habits. These habits will o help you achieve results. You are going to make resolutions, to create habits, which will lead to your goals. If you don’t know where you are going, you can’t know how to get there. The first thing we need to do is to create a set of destinations. Start with a high level abstract outline of the results you want to achieve. I want you to think out into the future and think about what type of life you want to lead and what type of person you want to be. Keep it vague. I want to be healthy. I want to be financial secure. 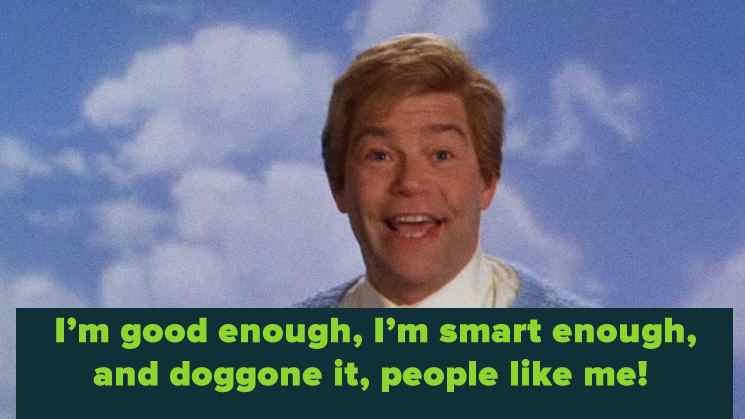 I want people to view me as competent. In tip two we are going to lay out the practical milestones to get us to those destinations. The paths are specific goals along the path not the actual steps to reach those goals. 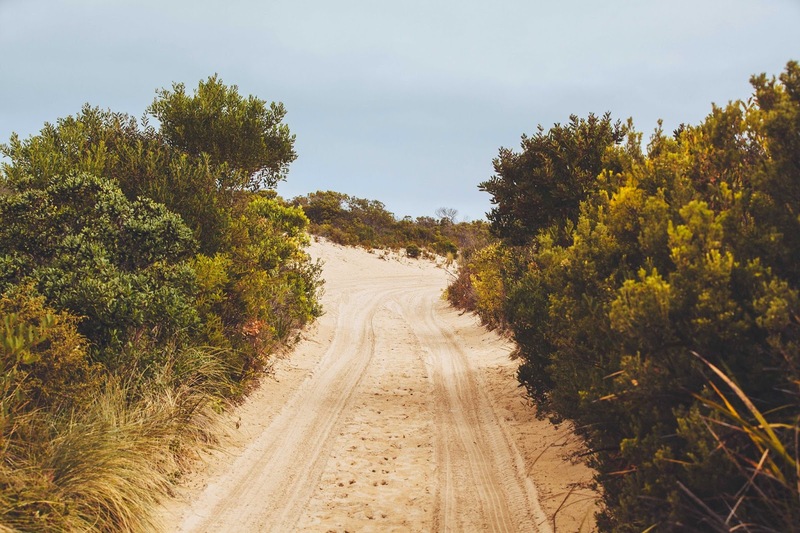 Look at the vague destinations you laid out in tip 1 and make specific milestones that will help you reach those destinations. We are talking very specific goals. I want to be 170 pounds by Jun 1st. I want to be able to run a 5k by May 1st. I want to have zero credit card debt by Jan 1 2017 etc. Now you want to make a list of habits that will help you walk down the paths to your destinations. These habits will become you resolutions over the coming year. 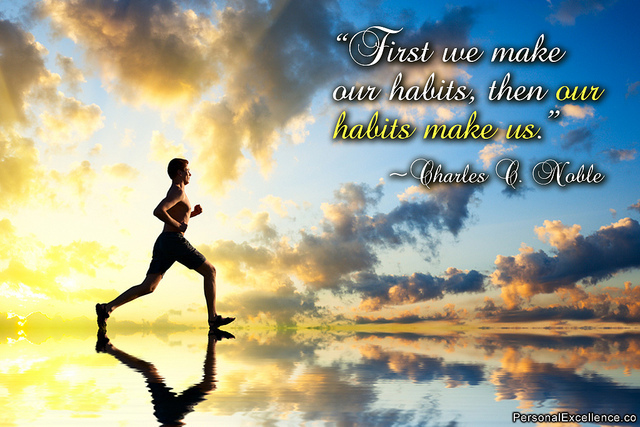 A habit is a reoccurring activity that you will make into an ingrained pattern of behavior. I will bring my lunch to work. I will work out five days a week at 7 am. I will wake up at 6:30.. etc. Don’t worry about practicality right now. Just make a long list of all the specific actions you want to take to reach your goals. Now we are going to start applying the things we learned from the second post in this series. One of the main reasons your New Year Resolutions fail is that you try to make too many changes at once. Also they probably aren’t particularly well thought out. You only have a certain amount of will power. You can only resist temptation so many times. The plan is to make changes habits so they no longer require as much energy. Since we can only work so hard on changes we are going to limit them to a couple/few/maybe one at a time. If you are going to try and build more than one habit at a time, it is very important that you choose habits that compliment each other. Two habits that contradict each other will quickly use up your willpower reserve and most likely lead to failure. Don’t try and quit smoking and lose weight a the same time. Do try and wake up earlier and go to bed earlier. This may take some time to figure out. You need to learn yourself and what can help you build habits. Let me give an example. Two people have decided to make the same habits: wake up early and work out a few days a week. Person A needs a reason to get up early. So they decide to wake up early and then work out. Person B is discouraged by the prospect of having to both put out the effort to wake up early and then put themselves through a workout. Person B plans their workout for later in the day. You are going to mess up. You are going to eat over your calorie goal or miss a workout for a lamereason. You are going to blow your budget. Don’t take it to heart. Come back at the next opportunity and do the resolution. People have a tendency once they blow a goal to completely go off the rails. If they go over the budget by ten dollars, they then go and blow a couple hundred. Just let it go if you mess up. A commonly repeated refrain is that it takes a month to make a habit. This is not completely true. The length of time and effort it takes to build a habit depends on the habit being formed and the individual. Some take as little as a week to become ingrained, others can take months and months. So what I recommend you do is to pick two complimentary habits. Then spend a month concentrating on building those two habits. After a month move onto working on two more habits. The habits from the previous months should continue without a whole lot of effort. As you go on working on new habits some of the old ones might flag. It can be necessary to go back and work on an old habit. If you find yourself failing at a previous habit I recommend taking a week and concentrating on re-enforcing that habit that you’ve been blowing. For example, I was failing badly at a new habit recently when I realized that I had eaten out for lunch three times in a week breaking one of my old habits. I shelved the failing new habit and spent a couple of weeks working on my lunch habit. Some life changes are extra difficult. Anything that involves an addiction, whether physical or mental, will take more than just effort and habits to change. These things are completely different animals than just wanting to walk 10000 steps a day. If you have an addiction you are going to need much more and perhaps professional help than can be provided on a blog post. Tomorrow New Years Day, I am going to be posting a more personal post looking back at last year and looking forward to what I hope to accomplish in 2016. I’ll link to it here when the post is live. Check it out to see these tips being put into action. This is a rewritten version of an older post from my series on habits. I hope to have the two posts I have already done rewritten and the third post up before the new year. I once had a life coach. He quit life coaching after our time finished. True story. As a young student, my teachers would often write on my report card “has potential but doesn’t apply self”. I have described my life philosophy in many ways. I am an anti-perfectionist. Why waste all the extra energy to get something perfect when you can do just good enough. I zenly describe myself as water flowing down hill. The water finds the easiest path to get to it’s destination. I have known people who always get gung ho about everything. They always try and make sure they do there best. If something is worth doing it is worth doing to the best of your ability. To me that has always sounded like a whole lot of unnecessary work. This is all a long winded way to say that I am lazy. The oddest thing about my life philosophy of maximizing laziness is my love of people who are excellent at things. Ever since I was a child I have loved watching artists work or wood workers produce things. I watched all those PBS shows. Now I subscribe to a bunch of creative youtube channels. I marveled at the great things they created. I knew that all these people put in a great deal of effort and had spent years building their craft, but for some reason I unconsciously assumed that if you had a talent for something it was always easy. This idiotic belief manifested many ways in my life. I wanted to play guitar but I would never sit down day after day to practice. 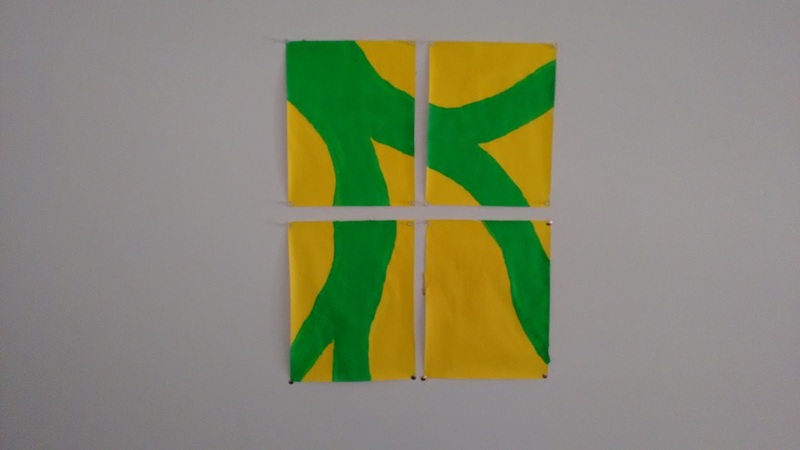 I thought maybe I had some skill at painting. I bought a starter paint set. One day without any previous practice or preparation I sat down and spent twenty minutes trying to create a masterpiece. What I made ended up being a horrific disaster. I didn’t touch paints again for twenty year. In normal life this led me too look around in my thirties and realizes I hadn’t really accomplished anything in my life and didn’t seem to be going anywhere. I decided that I needed to start living intentionally. To try and be a better me while actually working toward larger goals. I tried to accomplish this by making lists of things I would do. Like New Year’s resolutions these were supposed to guide me to long term change. I might stick to these new plans upwards of 2 to 3 days. I would often be full of resolve when falling asleep. Tomorrow would be different. I would make positive changes in my life. About five years ago I decided to get really serious. So I started what I called the slackers Guide to Life. I even still own the domain slackersguidetolife.com. I planned to get myself out of debt, be healthy, and live a creative and productive life. I encountered a problem in that I didn’t really have a plan on how to do that. I decided not to buy anything for a year. I also planned to workout, eat right, and write everyday. I actually managed not to buy anything unnecessary for a year. Otherwise that attempt was mostly another failure. Then I hit the big forty. I realized it wasn’t a joke anymore. I had gone half way through my life. I decided to take a much more proactive and scientific approach to productivity, habits and success. So I looked into what science tells us about goals etc. In my previous post in this series, I told you how I came to realize I needed to understand the science of human behavior and self improvement. In this post I will lay out what I learned through my studies. Much of this post is based on a book called Willpower: Rediscovering the Greatest Human Strength. But I also read a lot of other articles and sources of information. I am not going to bother to try and find references and links to them all, even if I could. So if you trust me on any of this it is your own fault. Two important factors intersect on our quest for self improvement: the limited ability of our brains to do things, and the power of habits to maintain behavior without significant effort. Obviously, the situation is much more complex and can depend a lot on the individual. But continued study has shown us many helpful things. I will present a very simplified explanation of how our bodies power our brains. Our bodies take the food we eat and convert it to energy. I good portion of that energy gets sent to power the most important part of us, our brains. When we run out of energy from food our bodies start converting fat etc into more energy. This thing is obviously much more complex involving neurotransmitters etc etc..
Every time we do anything with our brains we use up some of this energy. Learning a new task at work, resisting the temptation to eat a brownie, trying to win an argument in a meeting, these all take up the amount of available fuel your brain can access. We replenish that fuel through eating. Those snicker commercials aren’t far off. You aren’t you when you are hungry. You have a harder time doing things and making decisions. When and what we eat can help keep our brains fueled. Foods that release their energy slowly, such as nuts, can keep us going while sugar will give a quick but short burst of brain power. If you have been following this you may be realizing one of the reasons dieting can be difficult. 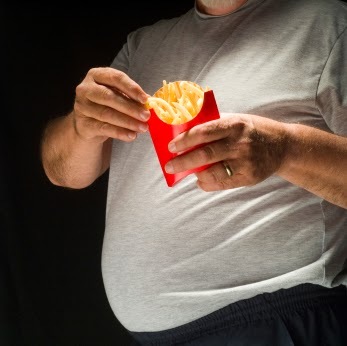 You need the fuel from food to resist the temptation to eat too much, but you need to eat to give yourself the brain fuel to resist temptation. It can be difficult but is not impossible. There are tricks you can do and long term success is a very real possibility. So willpower can be described as the amount of fuel your brain has available and the efficiency in which it is used. The research points to two interesting caveats. There does seem to be an inherited amount of willpower. Some people are just born with more than others. Most importantly it can be trained like a muscle. They studied people who showed the attributes of having a lot of willpower. These people did things that “flexed” their willpower. Stand still for long periods of time hold you hand for as long as possible in a bowl of ice water. One of the most important things they found about people who seemed to possess a lot of willpower is that they used as little of it as possible. That leads us to the next important point: habits. 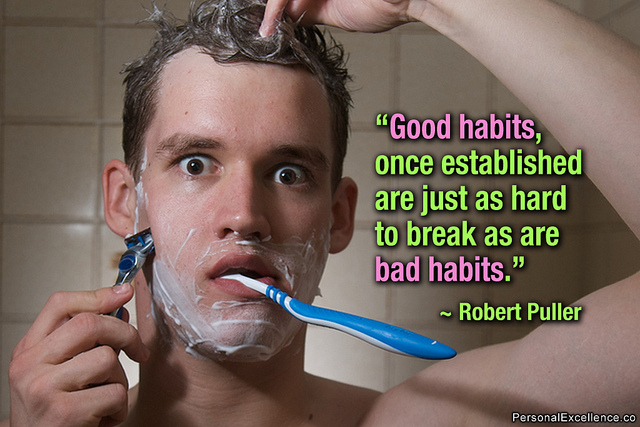 Habits are simply ingrained behaviors. They are things you have trained yourself to do requiring almost no effort. Habits range from brushing your teeth or putting the toilet seat down, which take almost no brain power at all, to getting up early in the morning and going to the gym. What they found in researching a lot of very successful people was that they didn’t spend a whole lot of time or effort deciding what to do. They didn’t spend their time fighting to find the motivation or will to do positive things. It’s just what they did. They busy executive who started the day with a stress relieving workout just did it. A habit begins with willpower since they are formed by repeated actions. I believe one of the most powerful tools at our disposal for long term self improvement is the creation of positive habits. This leaves our limited willpower to handle the really important things. My coworker does this. He uses tools and automates much of his work. Repeated tasks become as easy as one click or including one function in some code. This way he isn’t wasting his limited resources of time and brain power on trivial things and can concentrate on the actual hard parts. When we make the mundane things of life habits, we free up energy to consciously make positive habits. By making it so we don’t have to put much effort into doing something that positively impacts our health and well being we can create a life of slow and steady improvement. I am convinced of the need to create conscious positive habits in order to live a good life. In the next post in this series I’ll tell you about the practical steps I have chosen to take to create good habits. The same psychologist (not gonna bother looking up his name) how began the self esteem movement continued to study the issue. By the 90s he realized he had made a big mistake. To simplify it, the people who were good at things had a high self esteem because they were good at things not the other way around. They found almost no improvement in performance based on increasing self esteem. In fact if people were below average at something and you increased their self esteem, they became worse at those things. Never forget that no matter who tries to protect your feelings, You are the problem, and it is your fault. Not ours. A rant I saw online inspired this post. The above is my paraphrase of the last line of the rant. You might be thinking that seems harsh. The original version was even harsher. The poster’s anger was fueled by someone whining. It was a long whine about how horrible their situation was. The spent a lot of time blaming other people and things. The real kicker was that they had continuously made the choices that had gotten them into the problem. And it was a situation with a simple solution. They just had to reverse the decisions they had made. Yes it would take time. In this case they were the problem. In your life you often are the problem. Let’s look at an example. You get hit by another driver. It’s their fault but they don’t have insurance. You are left with a thousand dollar repair bill, but the credit cards are already heavily used and you don’t have anything saved up. You make enough money to have more than 1000 dollars in savings and if you only controlled your spending you’d have no credit card balances at all. The accident just happens to be the circumstance that exposes your bad behavior. The accident is their fault but the situation you have put yourself in is your fault. I am in the process of laying the groundwork for the Slackers Guide to Life. The last few posts in the series, and this one, have been attempting to motivate you to take action. I have been trying to get you (me) to realize you(I) can change. What we’ve learned is that much of it is your fault and much of it is your responsibility. This realization should make you happy and excited. Taking ownership of your life means you can change. This means your life can change. This means things can get better. Next up in the series is a post on the science of self improvement. Then perhaps I will get into some specifics of what I am doing in the slackers guide to life. Awhile back I ran a self improvement blog called the slackers guide to life. I still own the url www.slackersguidetolife.com. As you can see it just redirects to here. As with most of my blogging attempts it never quite took off the ground. I ran it for over two years and had maybe thirty posts ever. Every few months I would hide all the posts and schedule them to reappear as if the blog was a running concern. I did not give up on the idea of self improvement. I just got tired of not succeeding and having nothing useful to write about. There are several reasons why I didn’t want to announce the return of the Slackers Guide to Life right when I first started making positive changes. Studies have shown that just announcing the intention to change can satisfy the desire for change. I wanted to have some success under my belt before starting to write. I also wanted to concentrate on the actual changes in my behavior and not worry about having post worthy things going on. So what successes have I had over the last few months? With one fairly long break do to weather and sickness, I have been running somewhat regularly. My resting heart rate has dropped from around 100 bpm to the mid 60s. I have moved up a notch on my belt and even started wearing some smaller pants I had lying around. I’ve taken to rarely eating out, maybe one lunch and 2 dinners, this has helped both my health and my wallet. The last three months I have, amazingly, been within my budget. So look forward to some more posts in this series.